CAD jewelry design program for the custom designer. Creating unique custom designs with jewelers cad. www.jewelerscad.com is a CAD design program for jewelry design. Rhino cad is the base program for Jewelers cad plug-in. Building jewelry designs with other jewelry programs is extremely inefficient. 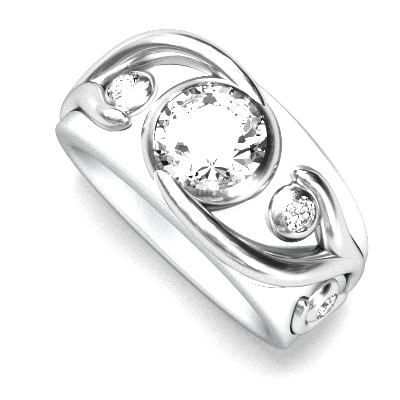 The best program for jewelers that want to do unique designs is the www.jewelerscad.com program. If you are an artist and designer this is the best program to be using. The versatility of the www.jewelerscad.com program is excellent giving the jewelry designer the best way to interface with the work area. Other CAD design programs limit the artist ability to designs with their builders. After trying some of the other CAD design programs like. https://www.stuller.com/matrix or www.bejeweledsoftware.com I was not satisfied with the interface to the work areas. I built the www.jewelerscad.com program to meet my needs being an advanced designer. Other programs are slow and limit your ability to designs to the builders. Other programs like https://i.materialise.com/blog/best-jewelry-3d-software‎ or https://www.stuller.com/matrix are extremely expensive where as in the www.jewelerscad.com plug-in is priced reasonably. You can download 10 free Jewelers cad designs to see how they look. Here are some links to YouTube videos to see how the CAD designs look. 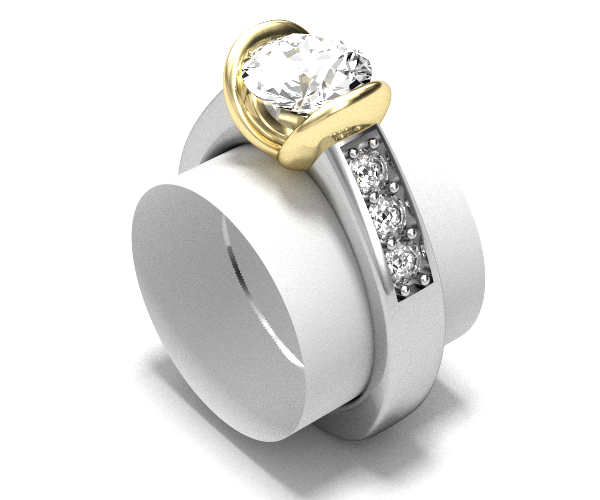 www.jewelerscad.com is the fastest easiest and cost significantly less than the other CAD design programs. I built this program to meet my needs in design. It is significantly better for the programmer to be the person that uses the CAD design program. I challenge any of the other CAD programs to prove their high prices are warranted. The main objective Jewelers cad is a new way to interface workspace giving the user more control along with more speed. A couple advantages of the jewelerscadcad.com program is working exclusively in the perspective view, one big view port makes it easier to snap or to select tangencies, lines, etc. A second is we think and visualize in the perspective view. Instantly up grade your custom design department with the Jewelers cad program. Giving the designer free hand and movement in six axis’s, while simultaneously being able to change the viewing angle. A new way to think about the work space. The Jewelers cad program is much better than the matrix www. or the www. The main objective of the jewelers cad plug in is not just new functions but a new way to interface workspace giving the advanced CAD designer more control along with more speed. Working with multiple four view ports like the other CAD programs. https://www.stuller.com/matrix verses a single view port you only have to process quarter of the visual information. We think in the perspective view and that’s how the Jewelers cad program is superior. Cad design classes are available. I wanted more artistic control and versatility than the other CAD design programs have. It is infinitely better that the person using the CAD program is the same person that is creating a CAD program.